On the last Sunday in March the magnificent finale of the 2015 Pianist of the Year Competition took place in the NY Café at Prague’s Boscolo Hotel. On this occasion the competitors played on an ANT. 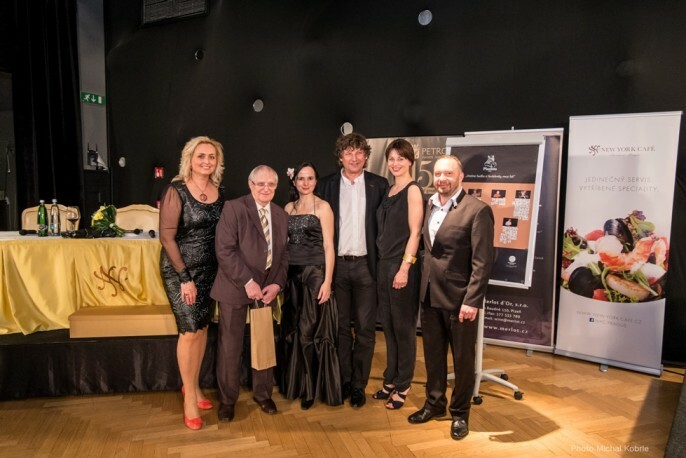 PETROF piano supplied by PETROF, and the evening was compèred by the radio news-presenter Zuzana Burešová. The beautifully balanced playing from the talented pianists was enhanced by the presence of many notable personalities from the musical world, including Jiří Suchý, Dáša Zázvůrková, Marek Ztracený - the discovery of the 2008 Český Slavík Competition - and Petr Fořt, the director of the international festival Rock for People. The competitors were asked to prepare four pieces from the repertoire of the guest of honour Jiří Suchý, who then selected one piece for them to play. The hall of the NY Café resounded with their renderings of Honky-Tonk blues, Tereza, Proč se lidi nemaj rádi, Kočka na okně, and the less well-known V kašně. In the second part of the evening the competitors tackled the most demanding event - an improvisation on four notes, which they drew from a hat just before taking up position at the piano. After that they were invited to show off their art in a piece of their own choosing. The winner chose Queen’s Bohemian Rhapsody, which proved a perfect choice. We also heard some excellent jazz standards, Mozart’s most famous melodies, and the rock classic Stairway to Heaven. The winner of this third competition was Tomáš Impellizzeri. 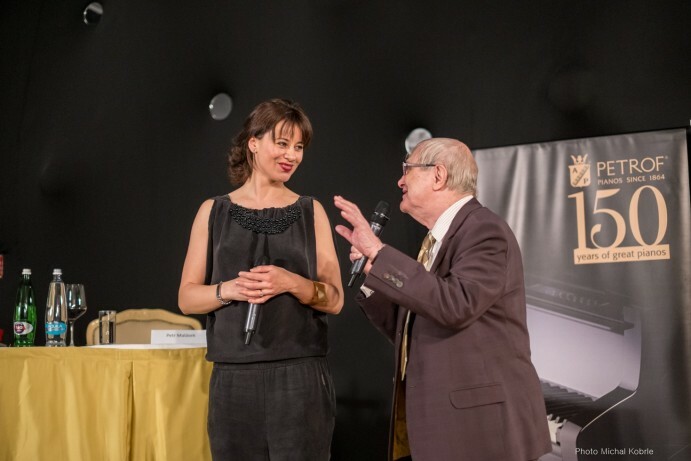 Tomášwas awarded 30,000 Czech crowns and a public appearance by PETROF, a massage at the Boscolo Spa and a splendid glass statue interwoven with gold and platinum, donated to the competition by the world-famous glass artist Gordana Turuk. 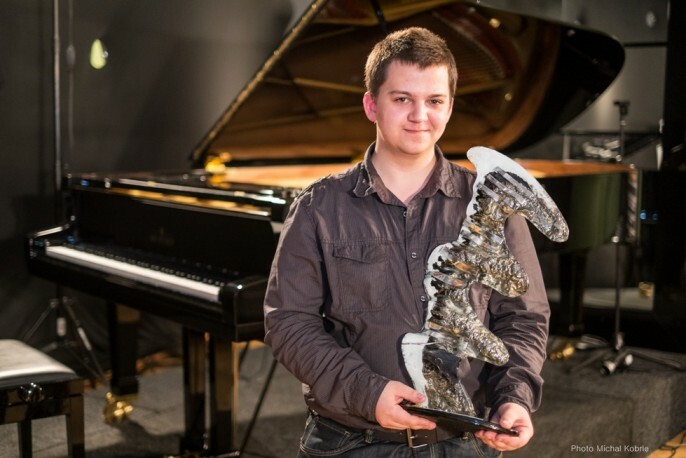 The silver award went to Luděk Havel and third place to the youngest competitor Daniel Bulatkin. Our congratulations go to all the competitors for their splendid performances, and we look forward to the next one.